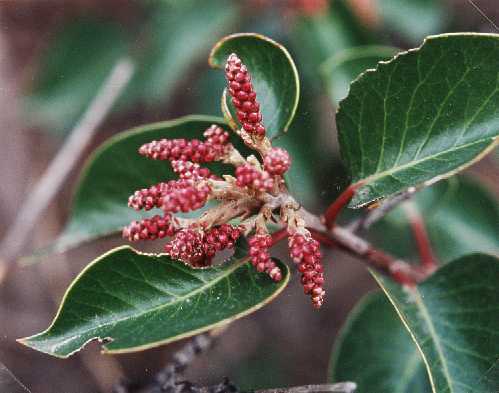 Notes: A native shrub which looks similar to the Laurel Sumac, but with slightly rounder leaves, it can grow to seven feet. 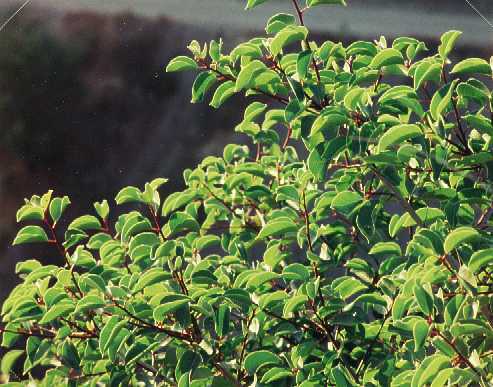 Look for the red, berry-like flower bunches. Its fruit was used by Native Americans as a drink sweetener.